Founder and CEO of TBRA. Janice prides herself on being able tooffer excellent advice and services to both vendors and purchasers. 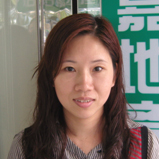 With her wealth of local knowledge and the support of an excellent team of staff, she specializes herself in luxury properties on Hong Kong Island & on Lantau. 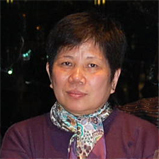 She is also in-charge of the Property Management Services team. English, Mandarin and fluent Cantonese. 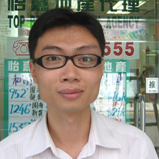 John, who was brought up and educated in North Point, joined TBRA in 2005. With the sales experience he gained from previous job, he is fully aware that a good long term relationship with customers are essential. He aims to improve his ability through the study of English language and computer usage. Fluent Cantonese, Mandarin and Fukien. Co-founder of the TBRA. 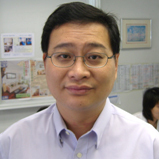 With 20 years of experience, Edwin’s knowledge of the business is extensive. 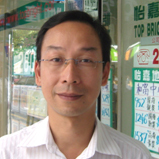 He is well known in the real estate field and was members of several Estate Agent Associations. He is now working as a support member in the company and gives training to staff and IT support. 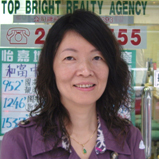 Flora has been working in estate agency since 1990 before joining TBRA in 2000. 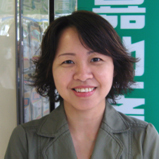 She mainly focuses on Causeway Bay, Tin Hau, North Point & Quarry Bay areas. 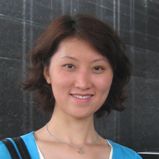 She serves local and overseas customers from mainland China & South-east Asia. Fluent Cantonese and Mandarin. Sylvia has a wealth of experience in the customers services through her early years of working in the travel business. She started her career as an agent in 1997 at TBRA and was appointed as Shop Manager of the company in 2008. She is committed to provide the highest level of customer service. Alice joined TBRA in 2006. With the sales experience in her previous job and working in the area she knows best, she is able to focus on properties around Fortress Hill and North Point areas providing first-hand property information and market news to landlords and purchasers. Fluent Mandarin, Fukien and Cantonese. 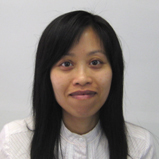 May began her career in estate agency since 1995 in an expatriate firm and joined TBRA in 2003. She now handles renting & buying for expatriates clients, most of them are professionals. 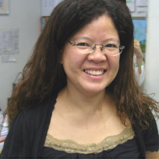 She specializes in Mid-levels East, Happy Valley and Pok Fu Lam areas. Fluent in English and Cantonese. Steve has been engaged in agency work for over 16 years and has been with TBRA since the early day of its forming. With a wide exposure to commercial, retail and residential sectors, Steve has gained invaluable experience. He is now in charge of the Offices and Retail Department. Fluent Cantonese, English & Mandarin. Doris has started her career in TBRA 13 years ago. She has gained invaluable experience and is committed to providing a high level of “one-stop” customer service to both landlords and clients. She is also a member of the Property Management Service team and helping the office with advertising and promotion designs. English and fluent Cantonese. Sherman joined TBRA in 1998 as secretary. Her work is to ensure a smooth and organized working environment and her continuing support to all the members in the firm is essential to the company’s success. She is also a member of the Property Management Services team.